KTGA was hired to plan, design and execute the American Chamber of Commerce’s (Amcham) annual charity gala held in the Jing'an Shangri La Hotel Shanghai. 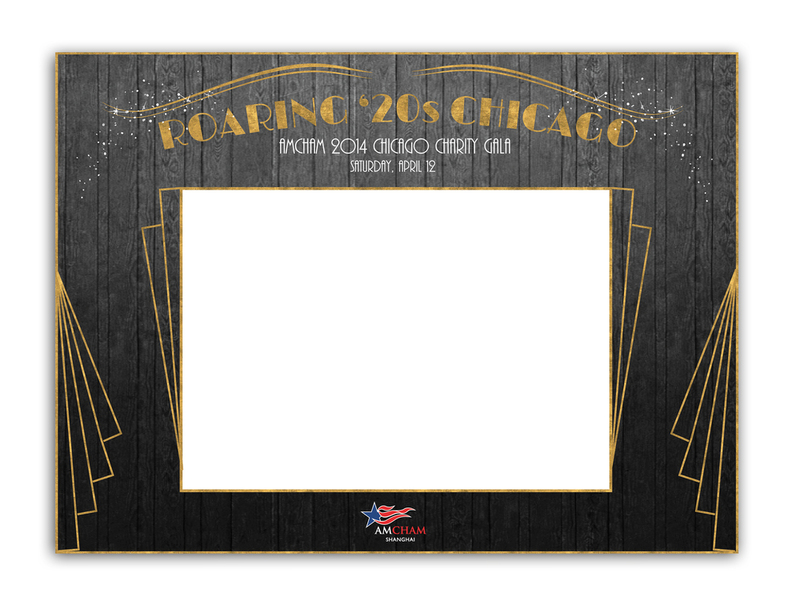 Over the course of the evening - using a carefully constructed stage setting, music and theatrical elements - the 500+ guests were taken back in time to 1920s Chicago. KTGA undertook all visual identity, environment design, table display, performance curation and execution. KTGA designed and built a life-sized street in Chicago in the style of the period. 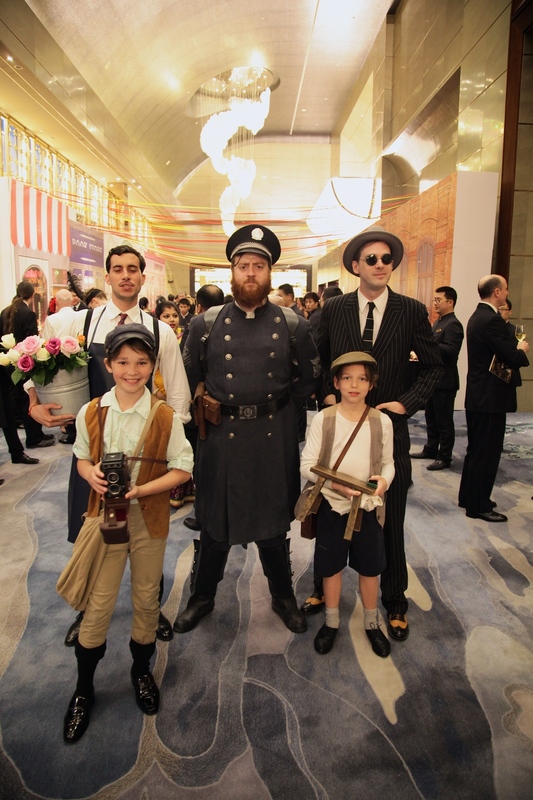 Professional actors in costume, who received the guests and welcomed them in the hotel lobby, would then reappear on stage later to perform traditional 1920’s music and theatre. Gold, black and white colors integrated all the graphics and ballroom decorations. The stage was designed to be a reproduction of the landmark Balaban and Katz Theatre in Chicago. Flat Chicago Skyline on top of textured black background. Simple gold Chicago Skyline on a black background. Chicago skyline on a golden background. 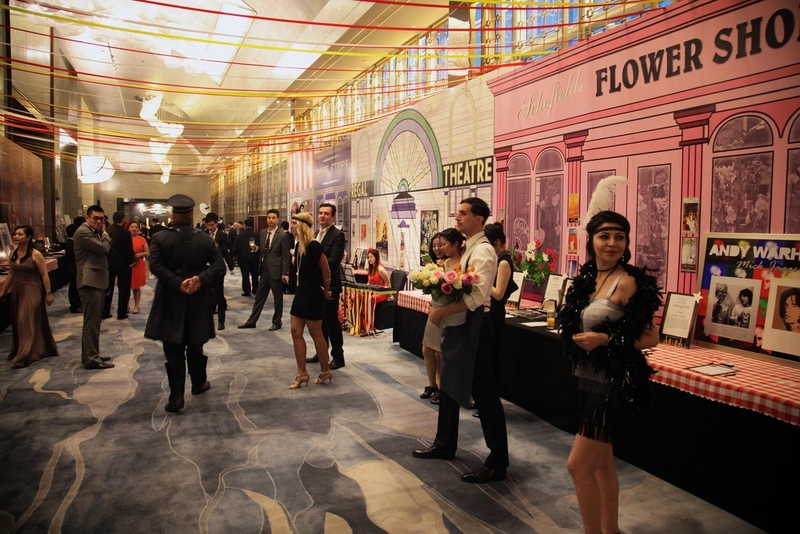 20 meter Facade in foyer area recreating a 1920s Chicago street.